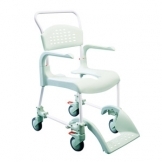 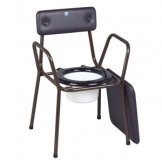 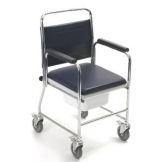 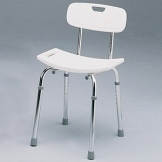 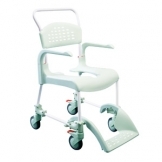 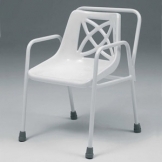 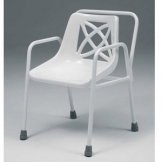 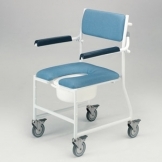 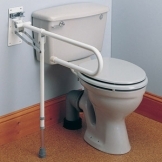 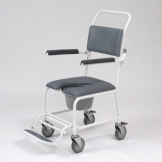 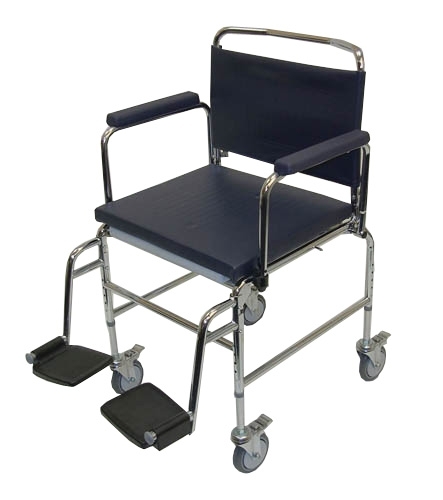 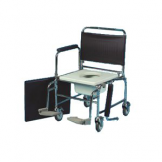 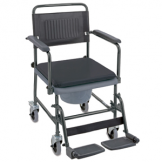 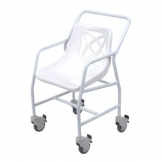 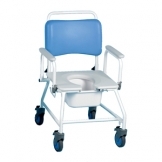 Mobile Commode Extra Wide, With Locking Castors & Footrests, Height Adj. 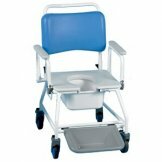 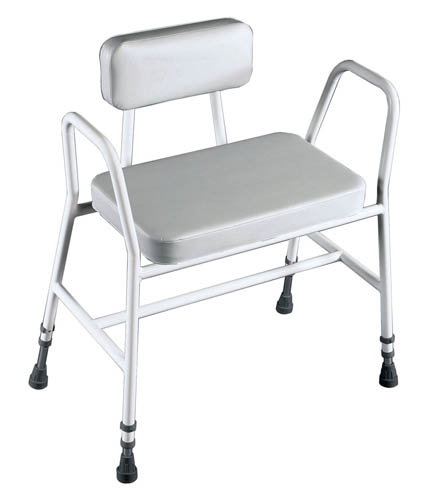 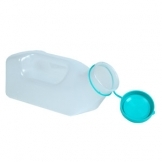 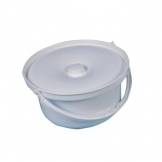 - 22"
Mobile Commode With Locking Castors Height Adj. 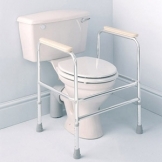 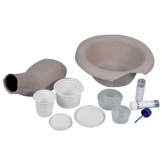 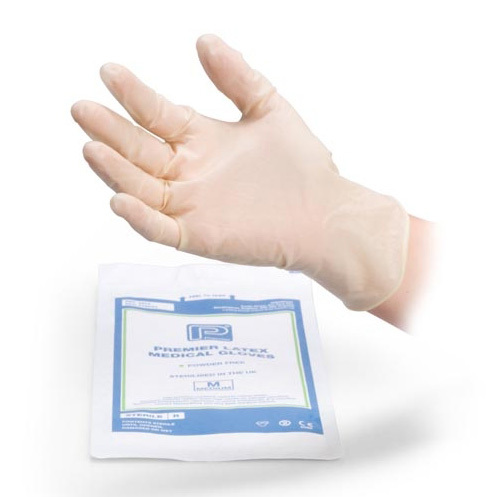 This range of bathroom and toilet equipment allows your residents use the facilities with a degree of independence, protecting them from slip or fall hazards, in the process granting them the most important gift you can offer them: safety. 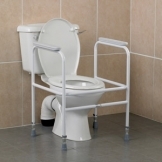 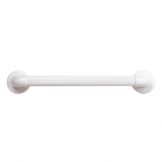 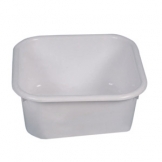 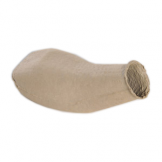 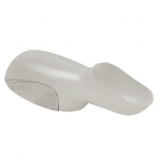 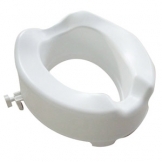 Browse our selection of grab rails, raised toilet seats and even anti-slip mats for bathrooms and wetrooms.